I’ve started to eat a lot more porridge, as an alternative breakfast to my usual couple of slices of toast. The benefits have been enormous. Porridge is a slow-burning food that provides fuel for the body over a much longer period of time than bread. I don’t feel hungry until much later in the morning, and I also get a much needed hit of calcium from the milk. My day-to-day porridge gets three minutes in a microwave (I know, I know…a microwave…), but this version is on a different plain. It’s cooked for a long, long time, time that transforms the oats from something a little every day and dull into something quite refined and almost elegant. This is for winter Sunday mornings. Preparation is easy. Nothing more than two minutes worth of weighing and measuring and an hour in the oven. Put the oven on first, to 150c, then weigh out 135g of porridge oats and put them into baking dish. Add 75g of skinned hazelnuts, roughly chopped up – you want some to be just halved, the rest broken down into smaller but still substantial chunks – and 75g of sultanas or roughly chopped dried figs. 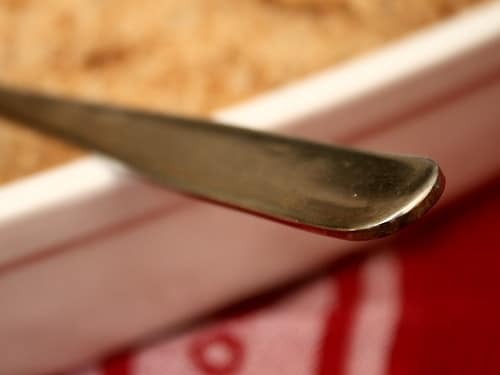 Splash a teaspoon of vanilla extract over the oats, nuts and fruit, followed by half a teaspoon of ground cinnamon and a tablespoon of soft, brown sugar. Mix everything together very thoroughly. Next the milk – pour over either 850ml of milk, or 650ml of milk and 200ml of double cream. I’d favour the latter. Put the dish in the oven for forty-five minutes and go back to bed for a while. 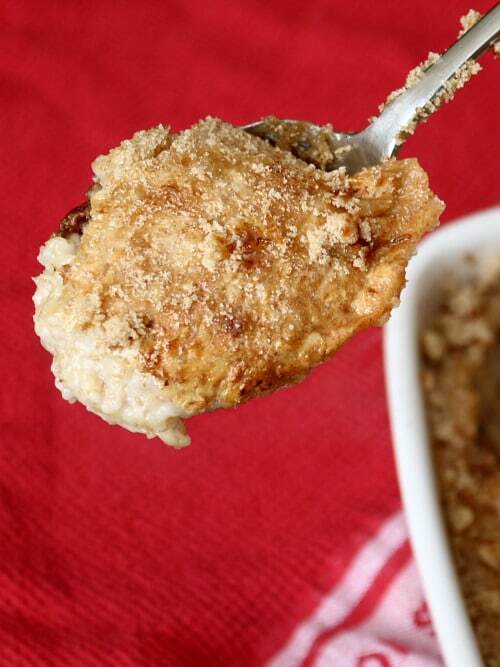 After forty-five minutes, sprinkle about another two tablespoons of soft brown sugar over the top and give the porridge another fifteen minutes. The result is rich and creamy, sweet from the fruit, crunchy from the nuts. It’s smoother than the rushed midweek version and much more relaxed…the oats taste like they enjoyed their stay in the oven more than being blasted for three minutes by the usual unspeakable microwave death rays.
. Granger is the undisputed Antipodean king of breakfasts, so it should be little surprise that his porridge recipe is so good. Good god, this looks delicious. Bring on Sunday. It's feels wintry now, no doubt it still will by then. I think I can smell that porridge from here. I bet it's great waking up (the second time) to that lovely nutty/fruity aroma. Four normal people, three hungry people, two if one of them is me. Oh what a lovely way to start the day. Are the oats you're using called steel cut out? No, I used rolled oats for this, but I reckon that steel cut oats might be better – they'll give it a really great texture. 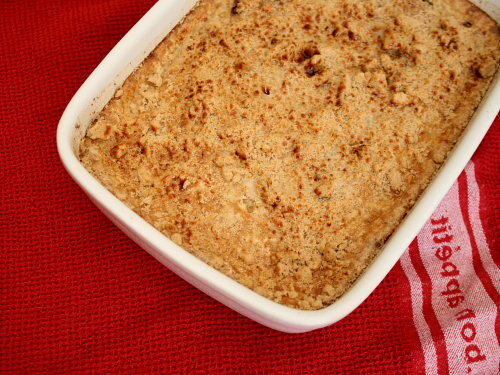 I like this idea of baked porridge! How was it the day after? do you think it's doable to bake a lot on Sunday and have some leftover for the Monday breakfast! I would love to start the week with this! Porridge doesn't sit around well. By Monday morning, this would be like a rubber brick. I also make 3 minute porridge in the microwave but this looks so good I will have to try it this weekend. I'm going to try this recipe on my niece, a four-year old porridge a la nutella addict. I'm assuming porridge is oatmeal? I love it too and it reminds me of childhood. Your recipe takes it to another level though and I can't wait to try it on my family. Thanks for sharing! Why don’t you make your own mayonnaise?